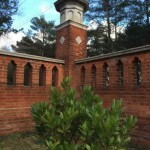 The Peace Garden is open seven days a week and is located at Monument Road, Woking, GU21 5LW. Parking is available adjacent to the site. 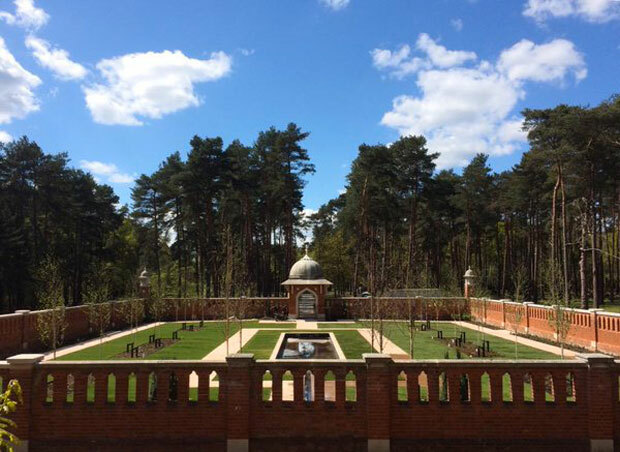 If you plan to hold an event at the Peace Garden, please check the schedule is clear by emailing HCPS at info@horsellcommon.org.uk. 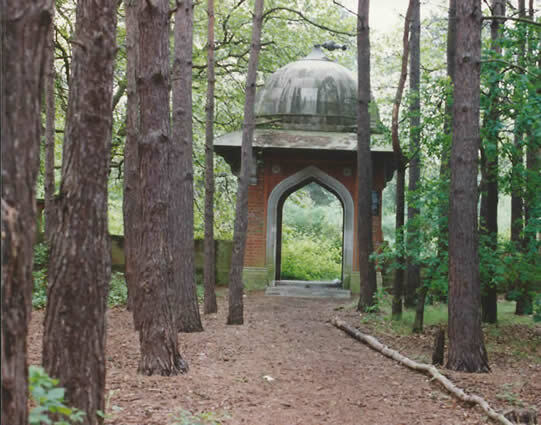 Because of its nature of a ‘peace garden’ and as a reflection of its religious history we do ask that dogs are not taken into the garden but, if they are, please keep them on a lead. 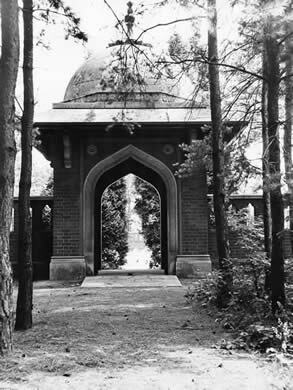 The original Woking Muslim Military Cemetery was opened in 1917 by the British Government to counteract German propaganda that Muslim Indian soldiers from the army of Undivided India were not being buried according to their religious rites. 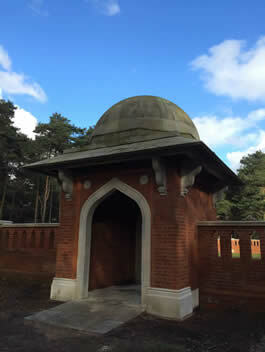 It was built on common land compulsorily purchased from the Earl of Onslow to receive the bodies of soldiers who died from wounds or illness at temporary army hospitals on the South Coast. 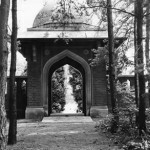 19 Muslim Indian soldiers connected with WW1 were buried there and a further 8 connected with WW2. 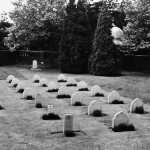 In 1921 the Commonwealth War Graves Commission took over the maintenance. 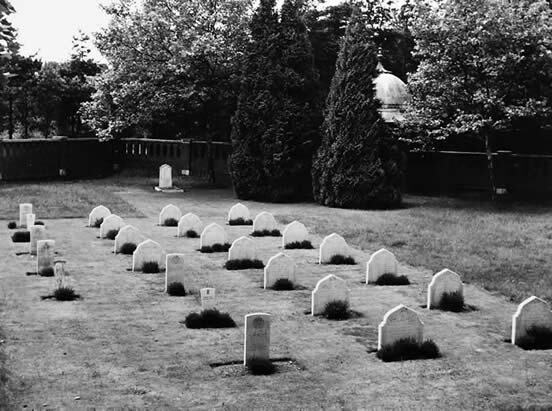 Because of vandalism the CWGC decided to exhume the bodies and re-interred them in Brookwood Military Cemetery in early 1969. 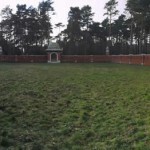 The Burial Ground was then handed back to the owner of the common, by that time this was Horsell Common Preservation Society who had no funds for maintenance. 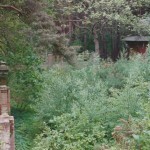 It became overgrown and further vandalised. 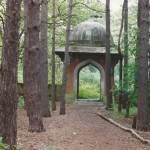 It was listed in 1984 by English Heritage as a Grade 2 structure. 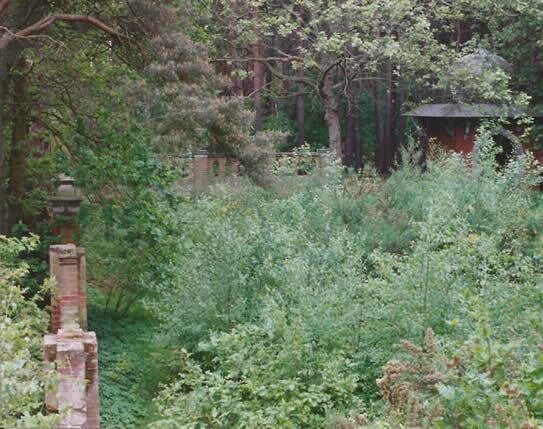 In the 1990’s HCPS cleared the vegetation, stabilised the walls and made unsuccessful attempts to find funding for restoration. 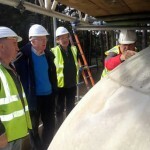 In 2011 Woking Borough Council, in conjunction with HCPS, searched for restoration funding and received an 80% grant from English Heritage with WBC contributing the remainder. 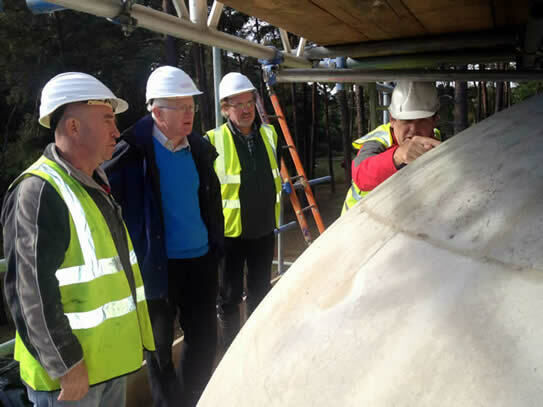 Under the supervision of restoration architect Jeremy Poll of Radley House Partnership the walls and chatri were restored culminating with the gilded finial being lowered into place. 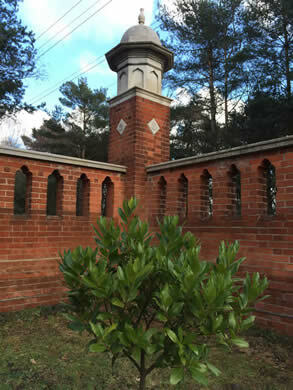 It was realised that the interior space needed to be given meaning and purpose and, after a consultation of local people facilitated by Surrey Wildlife Trust’s Greenspaces scheme, it was decided that a memorial garden with the names of those originally buried there should be installed. 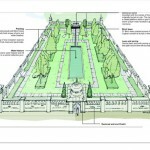 Landscape designer Lionel Fanshawe of Terra Firma was appointed and designed an English interpretation of an Islamic garden with an Indian granite memorial stone inset with panels of Portland stone engraved with the names of the original burials. 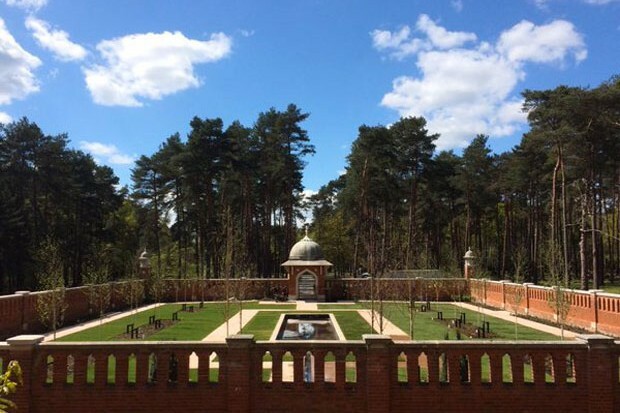 Funding was received from the Army Civilian Covenant Fund, Department of Local Government and Communities, Surrey County Council Community Infrastructure Fund, The Sultanate of Oman, the local Muslim Community via the Shah Jahan Mosque and WBC. HCPS have committed to maintain the garden except for the water feature which will be the responsibility of WBC. 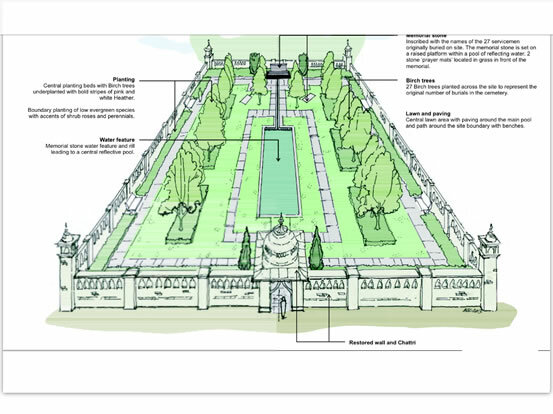 The Peace Garden was officially opened on Thursday 12 November 2015 by His Royal Highness The Earl of Wessex KG GCVO. 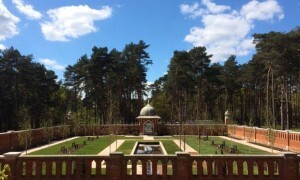 We very much hope you will be able to take time out from your busy lives to visit the Peace Garden and experience its atmosphere of tranquillity and, perhaps, reflect on the sacrifice made not only by those fighting in the British Army in two world wars but also by the many nations and religions that fought beside them, including the Muslim soldiers of the army of Undivided India some of whom were originally buried here. 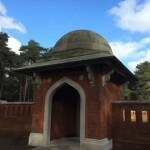 Filmed over a three-year period, a BBC documentary team tracked the long-awaited and carefully planned activities of Dr Zafar Iqbal, Woking Borough Council’s Senior Policy Officer, and Elizabeth Cuttle, Trustee of Horsell Common Preservation Society (HCPS), to rescue the historic site from disrepair. Watch the 40 minute film on youtube. 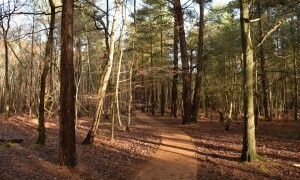 Watch a 4 minute overview video produced by Woking Borough Council.